First Published at The Public Sphere Journal, 2015 LSE Africa Summit Special Issue. Design: Fabulous Urban (Fabienne Hoelzel, Aro Ismaila, Claudia González García, Mélanie Jeannet, Rujun Jia, Katerina Kálalová, Saskia Niklas, Dácil Rodrigues; construction site management: Aro Ismaila, Mo Ajala, Yhusuph Lharminhur; structural engineer: Hermann Blumer). 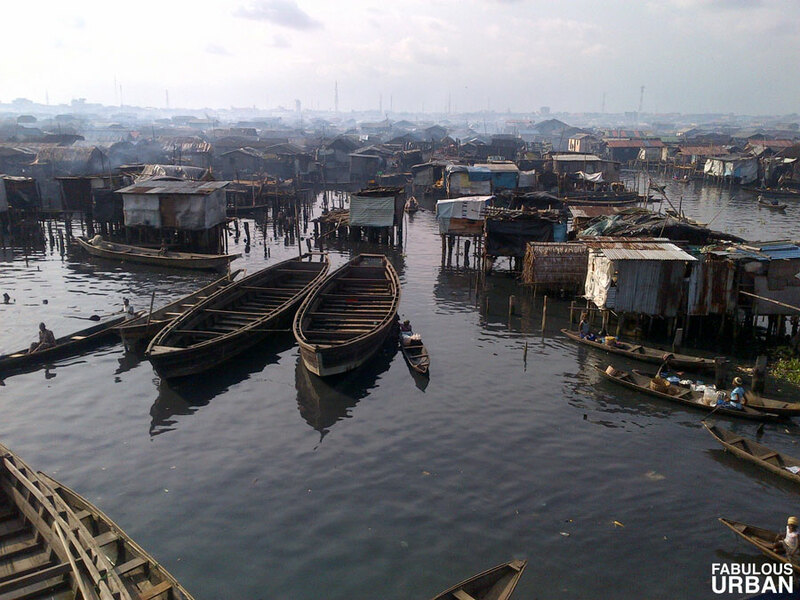 Collaborators: Makoko-Iwaya Waterfront Community, Heinrich Böll Foundation Nigeria & SERAC. Funding: Embassy of Switzerland to Nigeria in Abuja. Towards a new community-led governance approach, integrating the global into the mundane – and why design matters. Contemporary Africa is undergoing a rapid evolution, with several African nations experiencing the highest global rates of urbanization. Nigeria, ‘The Giant of Africa’, is no exception and has recently surpassed South Africa as the continent’s largest economy. Along with historical challenges the country has faced, such as corruption and lack of governmental transparency, rapid urbanization brings a new set of issues to the fore. Find out more at Makoko facebook and “Makoko Waterfront Economic Opportunities“. Acuto, M. (2014) ‘Everyday International Relations: Garbage, Grand Designs, and Mundane Matters’ in International Political Sociology. Volume 8, Issue 4, pages 345–362, December 2014. Adeleke, K. (2014) ‘A Participatory Climate Risk Reduction and Management Strategy for Amuwo Odofin Local Government’. Environmental Law Research Institute (ELRI) and Community Conservation and Development Initiatives (CCDI): Lagos. Akinsete, E,, Hoelzel, F. and Oshodi, L. (2014) ‘Delivering Sustainable Urban Regeneration in Emerging Nations: Introducing Neighborhood Hotspots’. Journal of Architectural Education, 68:2, 238-245. Barber, B. R. (2013) If Mayors Ruled the World. Dysfunctional Nations, Rising Cities. New Haven: Yale University Press. Berrisford, S. (2014) ‘The challenge of urban planning law reform in African cities’ in Edgar Pieterse and Susan Parnell (eds.) Africa's Urban Revolution. London: Zed Books Brenner, N. and Schmid, C. (2014) ‘The ‘urban age’ in question’ in: Brenner N (ed.) Implosions explosions. Towards a study of planetary urbanization. Berlin: Jovis. Brown, A. (2002) ‘Neighbourhood Management: Lessons from Working for Communities Pathfinders and related initiatives in Scotland’. Edinburgh: Scottish Executive Research Unit. Brown, D., McGranahan, G. and Dodman, D. (2014) ‘Urban informality and building a more inclusive, resilient and green economy’, International Institute for Environment and Development (IIED) Working Paper. London: International Institute for Environment and Development (IIED). Burdett, R. and Sudjic, D. (eds.) (2011) Living in the endless city. London: Phaidon. Budett, R. and Rode, P. (2011) ‘Living in an urban age’ in Burdett, R. and Sudjic, D. (eds.) Living in the endless city. London: Phaidon. Christiaanse, K. (2009) ‘The open city and its enemies’ in: Rieniets, T., Sigler, J. and Christiaanse, K., Open City: Designing Coexistence. Amsterdam: SUN. Diener, R., Herzog, J., Meili, M., De Meuron, P. and Schmid, C. (2005) Die Schweiz – ein städtebauliches Portrait, Basel: Birkhäuser. De Landa, M. (1997) Meshworks. Hierarchies and the Question of the Interface. Bern: Benteli. Davis, M. (2006) Planet of Slums. London, New York: Verso. Department for Communities and Local Government (2008), ‘Neighbourhood Management Pathfinders’. Falola, T. and Heaton, M. W. (2008) A History of Nigeria, Cambridge University Press: Cambridge. Fox, S. (2011) ‘Understanding the Origins and Pace of Africa’s urban transition’ in Crisis States Working Papers Series, No.2, London: Crisis States Research Centre. Hoelzel, F. (2013) ‘Upgrade your slum’, TEDx City 2.0, 4th June 2013. Hoelzel, F. (2014) ‘Von brasilianischen Favelas lernen’ in Neue Zürcher Zeitung 198: 23, 28th August 2014. Schlieren: NZZ Print. Hoelzel, F. (2015) ‘Zurück in die Zukunft’ in Gerber, A. and Kurath, S. (eds. ), Stadt gibt es nicht! Unbestimmtheiten des Stadtwerdens als Programm in Architektur, Städtebau, Stadtplanung und Stadtentwicklung, In press. Jacobs, J. (1970) The economy of cities. New York: Vintage Books. Kooning, K. and Kruijt, D. (2009) ‘The rise of megacities and the urbanization of informality, exclusion and violence’ in Kooning K and Kruijt D (eds.) Megacities. The politics of urban exclusion and violence in the global south. New York: Zed Books. Lagos State Government (2012a) Lagos State Investor Handbook. A Guide to Business and Investment in Lagos State 2012. Lagos State Government. Lagos State Government (2012b) Lagos State Economic Summit: EHIGBETI 2012 Report, Lagos State Economic Planning Department. Lagos State Government. Lagos State Government (2013), Lagos State Development Plan 2012-2025. Lagos State Government. Lepik, A. (ed.) (2011) Moderators of Change. Architektur, die hilft. Architecture that helps. Ostfildern: Hatje Cantz. Lepik, A. (ed.) (2013) Afritecture. Bauen mit der Gemeinschaft. Ostfildern: Hatje Cantz. Lorrain, D. (2011) ‘The institutions of the urban fabric’ in Lorrain D (ed.) Governing Megacities in Emerging Countries. Farnham: Ashgate. Makoko/Iwaya Waterfront Community (2014) Makoko/Iwaya Waterfront Regeneration Plan, Lagos: Urban Spaces Innovation. Myers, G. (2011) African Cities. Alternative visions of urban theory and practice. London: Zed Books. National Bureau of Statistics (2010) National manpower stock and employment generation survey. Household and micro enterprise (informal sector). July 2010. National Bureau of Statistics (NBS). Neuwirth, R. (2012) Stealth of Nations. The Global Rise of the Informal Economy. New York: Anchor Books. Neuwirth, R. (2013) ‘D.I.Y. City’, TEDx City 2.0, 4th June 2013. Obrist, B., Arlt, V. and Macamo, E. (eds.) (2013) Living the City in Africa. Processes of Invention and Intervention. Zürich: Lit. Olorunmaiye, S. (2013), Legislature-Executive Relations in the Presidential System: A Study of Lagos and Ogun States, Nigeria, 1999-2011 (CUGP070188). Thesis Submitted to the Department of Political Science and International Relations, School of Social Sciences, College of Development Studies. Covenant Universit: Ota, Nigeria Parnell, S. and Pieterse, E. (eds.) (2014) Africa's urban revolution. London: Zed Books. Perry, A. (2012) ‘Africa Rising’ in TIME Magazine 180: 23 Africa Rising. New York. Pierre, J., Peters, G. (2005) Governing complex societies. Basingstoke: Palgrave Macmillan. Pierre, J. (2011) The Politics of Urban Governance. Basingstoke: Palgrave Macmillan. Power, A. and Bergin, E. (1999) ‘Neighbourhood Management’ London: London School of Economics and Political Science. Tibaijuka, A. (2007) ‘Foreword’ in State of the World. Our Urban Future. The World Watch Institute. New York: Norton. Rieniets, T. (2009) ‘Dimensions: Introduction to part I’ in Rieniets T, Sigler J, Christiaanse K (eds.) Open City: Designing Coexistence. Amsterdam: SUN. Rode, P. and Shankar, P. (2014) ‘Governing cities, steering futures’ in Burdett, R., Rode, P., Shankar, P. and Vahidy, S. (eds. ), Governing Urban Futures (4-5). LSE Cities. London: London School of Economics and Political Science. Sadiq, E. R. (2011) ‘The Land Use Act Of 1978: Appraisal, Problems and Prospects’, Matric No. O6/40IA168. Salau, T., Lawanson, T. and Odumbaku, O. (2013) ‘Amoebic Urbanization in Nigerian Cities (The Case of Lagos and Ota)’ in International Journal of Architecture and Urban Development 3: 4. Department of Art and Architecture, Science and Research Branch, Islamic Azad University, Tehran, Iran. Sassen, S. (2014) ‘Who owns the city?’ in: Burdett, R., Rode, R., Shankar, P. and Vahidy, S., Governing Urban Futures. LSE Cities. London: London School of Economics and Political Science. Satterthwaite, D. (2011) ‘Surviving in an Urban Age’ in Burdett, R. and Sudjic, D., (eds.) Living in the endless city. London: Phaidon. Satterthwaite, D. (2013) ‘How to Ensure that Aid Empowers Urban Poor Groups’, TEDx City 2.0, 4th June 2013. Satterthwaite, D., Bartlett, S., Cabannes, Y. and Brown, D. (2013) ‘Urban Inequalities. Getting the Engagement of Local Institutions in the UN Development Agenda Post-2015’. London: International Institute for Environment and Development (IIED). Schmid, C. (2014) ‘Traveling Warrior and Complete Urbanization in Switzerland: Landscape as Lived Space’ in Brenner N (ed.) Implosions explosions. Towards a study of planetary urbanization. Berlin: Jovis. Sieverts, T., Koch, M., Stein, U. and Steinbusch, M. (2005) Zwischenstadt – inzwischen Stadt? Entdecken, Begreifen, Verändern. Wuppertal: Müller und Busmann. Soja, E. (2000), Postmetropolis: Critical Studies of Cities and Regions. Oxford, New York: Blackwell. Soja, E. W. (2010) Seeking Spatial Justice (Globalization and Community). Minnesota: University Press. Turok, I. (2014) ‘Linking urbanisation and development in Africa's economic revival’ in Parnell, S. and Pieterse, E. (eds.) Africa's urban revolution. New York: Zed Books. UN–Habitat (2003) The Challenge of Slums: Global Report on Human Settlements 2003. London: Earthscan Publications. UN-Habitat (2013) State of the World’s Cities 2012/2013. Prosperity of Cities. London: Earthscan Publications. United Nations Population Division (2008) An overview of urbanization, internal migration, population distribution and development in the world. New York: United Nations Secretariat. United Nations, Department of Economic and Social Affairs, Population Division (2014) World Urbanization Prospects: The 2014 Revision, Highlights (ST/ESA/SER.A/352). New York: United Nations. Van Wezemael, J. (2014) ‘Es braucht eine neue Sensibilität’ in TEC21 45/2014: 22-31. Zürich: Verlags-AG der akademischen technischen Vereine. The Economist (2000) The hopeless continent. The Economist. 13th May 2000. London. The World Bank (2014) Implementation Completion And Results Report (IDA-42190), Report No: ICR00002968, on a credit in the amount of SDR 138.10 million (USD 200.00 million equivalent) to the Federal Republic of Nigeria for the Lagos Metropolitan Development And Governance Project, 24th March 2014. World Bank Group; International Monetary Fund (2015) Global Monitoring Report 2014/2015: Ending Poverty and Sharing Prosperity. Washington, DC: World Bank Group. © World Bank. License: CC BY 3.0 IGO. William, A. (2011) The Urban Earthquake, ‘Living in an urban age’ in Burdett, R. and Sudjic, D. (eds. ), Living in the endless city. London: Phaidon. Winkelried, D. (2005). ‘Income Distribution and the Size of the Informal Sector’. Cambridge: St John’s College, University of Cambridge.